Safety will always be the number one concern for parents, no matter their age. We hear homeowners say they do not want a pond because they have young children and it wouldn’t be safe for them. 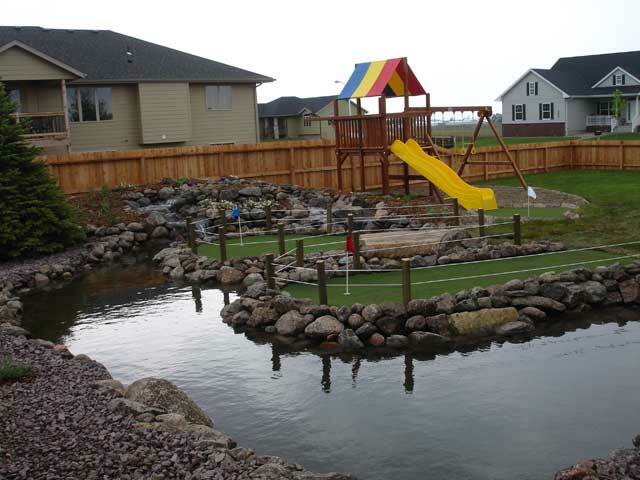 This is an understandable concern, but there are ways to have a pond or water feature that is safe for kids to be around. Here are our top backyard safety tips. This may seem like an obvious rule for families with young children, but many of us have heard a story on the news where a parent looked away for just a second, or turned the opposite direction to quickly do something; and this doesn’t just apply to ponds. Kids are drawn to water, so just make sure someone is always with a baby, or keeping an eye on the toddler when around a pond. While this may detract from the natural beauty of a backyard pond, there is always the option to put a fence (temporary or permanent) around your pond. There are different types of fencing options that could accommodate your needs. Temporary, removable pool fences may be a good option for those that want safety, but also want to be able to access the pond easily. Shorter more decorative fencing may be a good option for those wanting to keep very young children out of the pond. 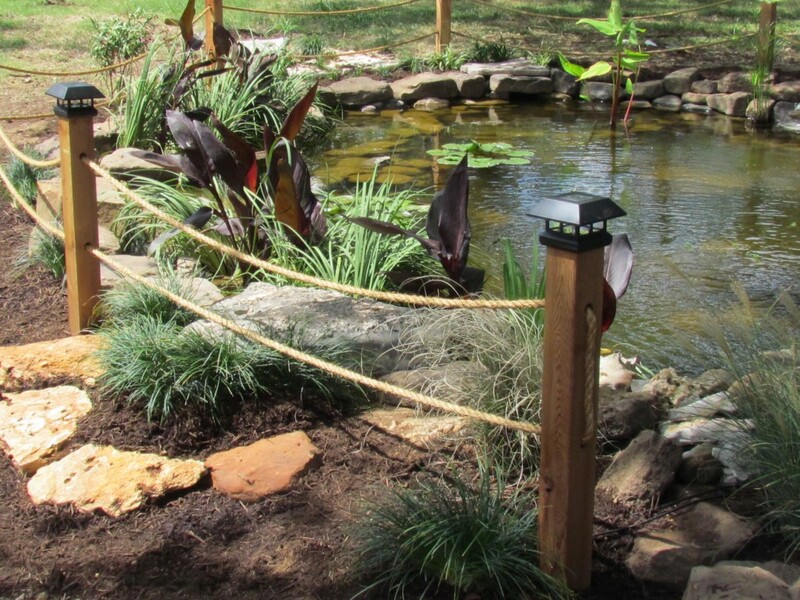 Posts with rope running through may be a good option for those with larger ponds that want to establish a boundary between pond and people. This may be counter intuitive if you want a pond, but a pondless waterfall is a great option for those with younger children. The kids can play in the pondless area, which is a gravel area that collects the water from the waterfall and recirculates it back to the top. Later on, when the kids get older, you can always expand and add a pond to the existing pondless waterfall. 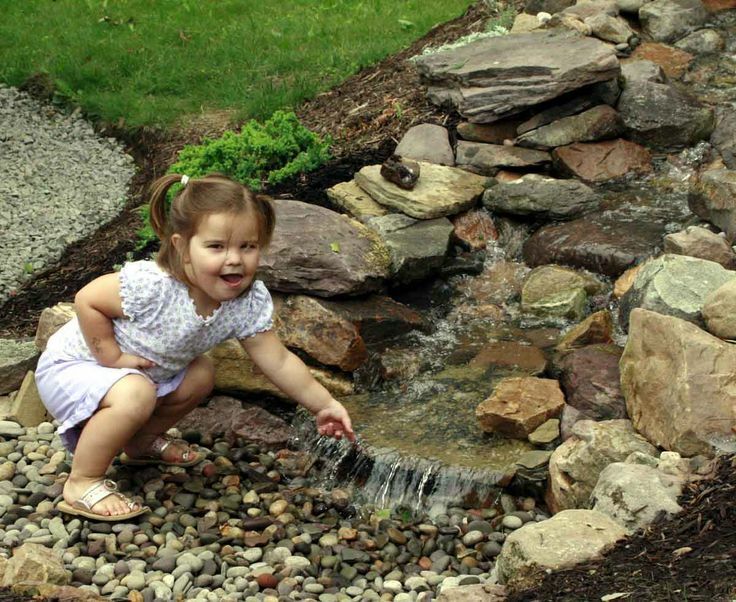 Kids, and adults of all ages, love the option of pondless waterfalls. Check out Ponds 101 for answers to more frequently asked questions. If you don’t find an answer there or you are ready to get your project started, contact us today!